One of my favorite things about living in LA is being able to go to some amazing concerts. In the past two years I’ve gone to concerts on campus, in the LA area, and even out in the desert at Coachella. This past weekend a friend had an extra ticket to The Temper Trap, and I had so much fun at the concert. The venue was at LA Live, which is only about a mile and a half away from campus. In addition to Club Nokia, which is where I saw The Temper Trap, there are always concerts and sporting events going on at the Staples Center next door. 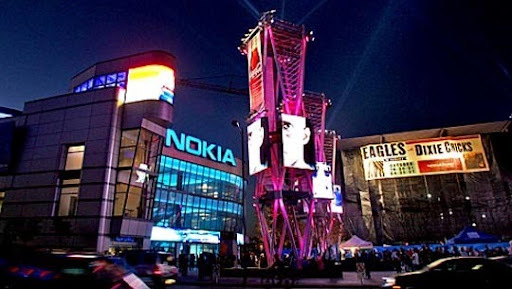 Plus, LA Live is also a great place to go grab dinner or see a movie with friends. The concert was great, and I can’t wait to go to more events this year. I had to pass up Sufjan Stevens tickets for Sunday night because I already had plans to go to the California Science Center with my Freshmen Academy class, but I’m sure more opportunities will come up this semester.